Well, for now I haven’t brought in my camera just yet and I can still shoot inside. Shooting inside often gets limited to portraits of family members, right? Not in my family. They don’t usually like their pictures taken, even less at close range or as they like to state, “at gunpoint”. So I have to find other subjects to shoot. The cat is not often a well-behaving subject either. Remains some inanimate subjects. Well, more or less. With the different photo clubs in town there are always ideas floating around, from exploding oranges using dynamite to flying sparks. Indoors, however, those activities are not exactly what I have in mind. 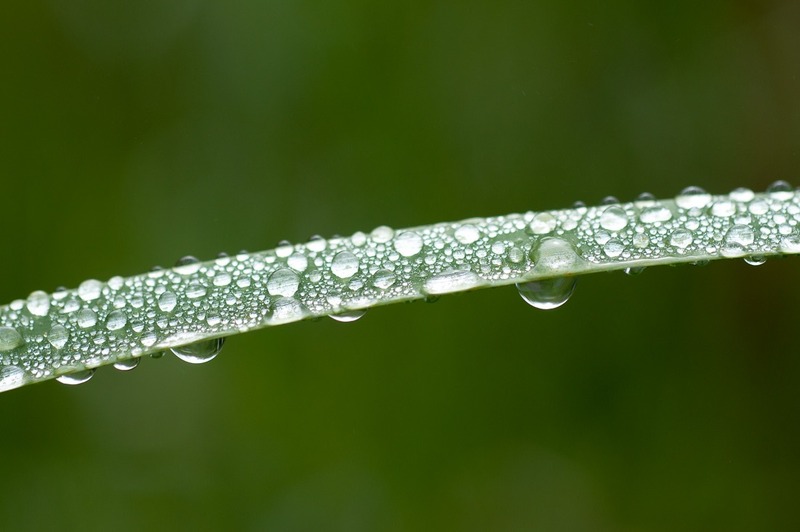 Then come the water drops. 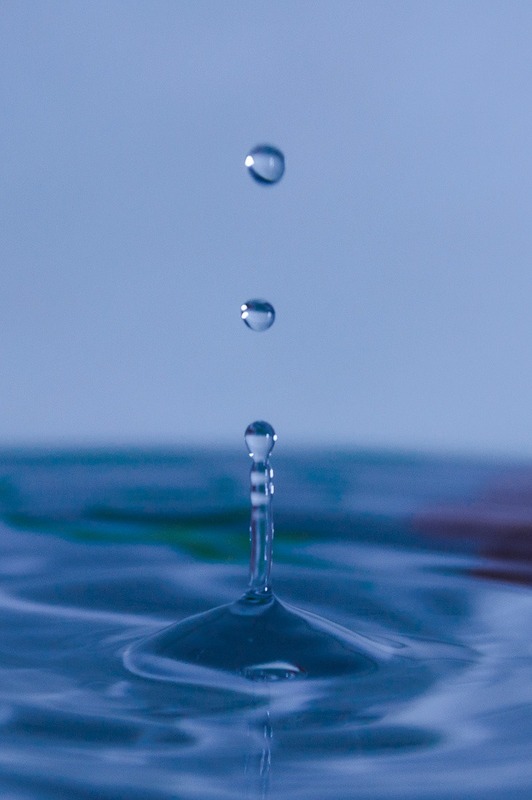 Back in the 1980’s, one of my all-time favourite rock bands had an album cover of a water drop, splashing up from a bowl. I tried to imitate that with my Praktika Super TL and a 50mm kit lens. After a lot of failed experiments, I decided to create an electronic speedlight trigger, making sure the water drop was crossing an invisible beam of light (infrared) triggering the speedlight in a completely dark room. The above picture was the result. While I never really could replicate the album cover I wanted, this was a pretty good result for 1980. Another one of my favourite subjects was crystals. From my holidays back in the day, I often took home some interesting rocks and crystals. The rock collection is now long gone, but the interest remains. 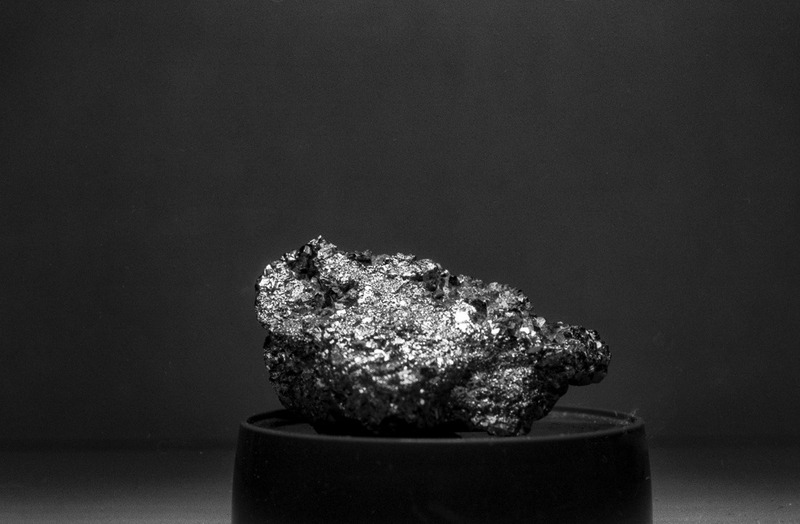 A small piece of pyrite was another of the subjects. Shooting with film, however, was costly, even if I could develop and print everything myself. The chemicals were not free. All these shots were taken when going out with a camera was not really an option. Half season in Holland usually means rain and hard wind. Then some more rain. No camera in that time was weather resistant in any form. Lately, let’s say since I have a DSLR, the urge to shoot small subjects inside has come back. Not so much because shooting outside is not an option, my camera is pretty much splash proof, but simply for the interest. Shooting small objects comes with a challenge. Simply to get a “talking” picture with as much detail as possible. Back in the film days, that was only an afterthought. One day, already here in Canada, snow came early. 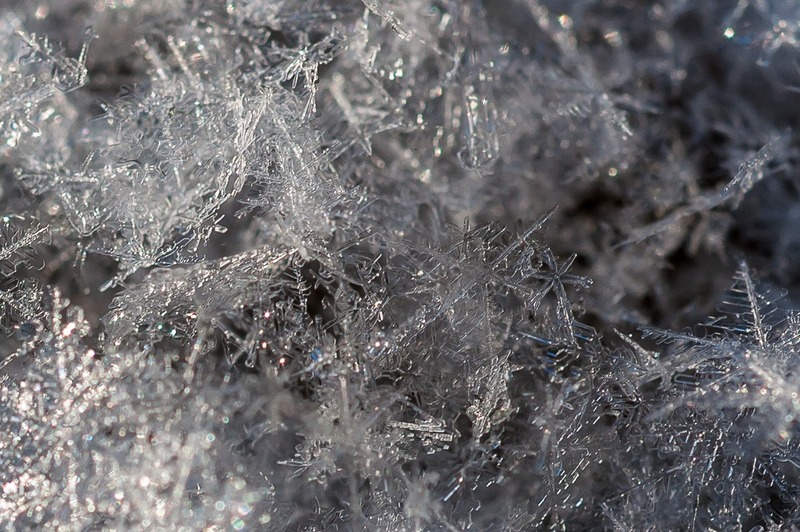 Small snow crystals were visible on a dark cold background for a few seconds. That was another one of my bucket list shots, simply because no two snow crystals are the same. 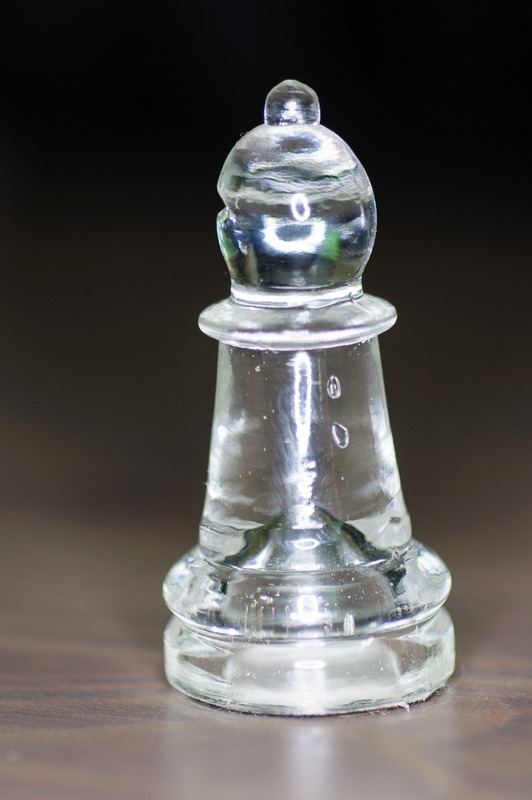 Other shots of less fleeting subjects were like this glass chess piece. Not that it is a crystal piece, but reflections make it a tricky shot. After a closer look, I think I should have wiped off the dust as well. 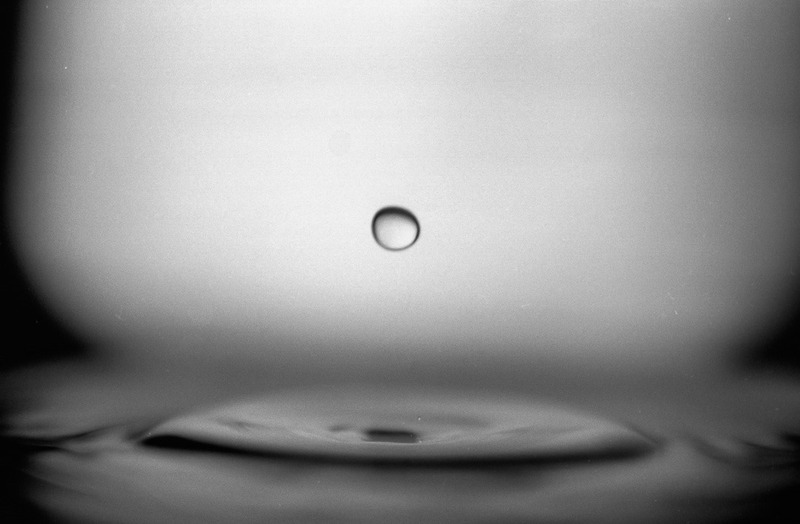 Then one member of the photoclub started with some shots of water drops from the kitchen. So I decided to give this another try. After the shot from 1980, I had never tried again to do this. This time, the shot was in colour and better defined. While this shot was taken without a speedlight, the definition of the water structure is much better. I will try again with a different setup one of these days. Like when the weather is really too horrible to go out and the urge to shoot something becomes too great . One subject that is particularly tricky to shoot has no shadow of its own. 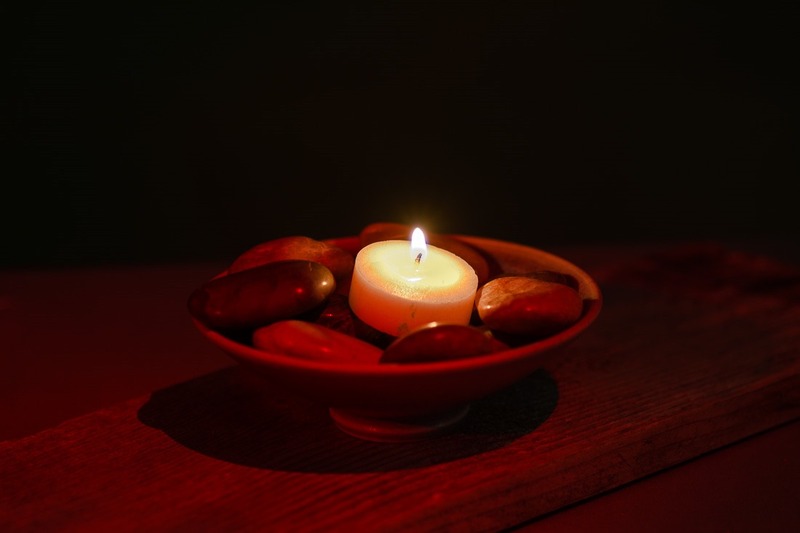 A simple candle with a small flame often ends up overexposed or blurry. Since the light produced is fairly weak but intense at the same time, care should be taken to expose for both the flame and the surroundings. As for shooting crystals, well, I am slowly building up a small collection again. Again with specimens that I have collected myself. 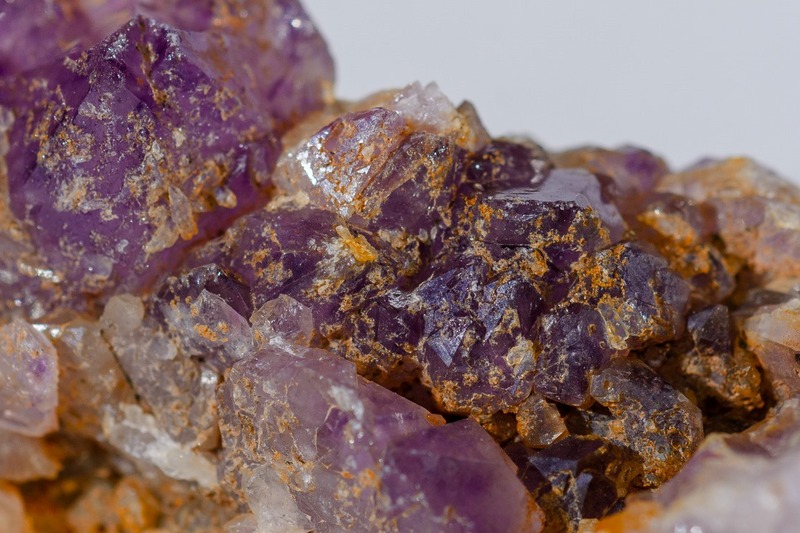 This piece of amethyst, for example comes from North America’s biggest amethyst mine near Thunder Bay in Ontario. They allow you to go and search for amethyst yourself in the (not yet sorted) tailings of the mine. More about this in another post. Those are some of the subjects of the half-season. It’s not always easy to come up with something, but having a macro lens definitively helps with shooting some smaller items. What will you come up with during the “grey days” ?